Use Firefox browser for better browsing experience. How do I get my Examination Rating? If you by chance failed the Civil Service Examination, you can check your rating by visiting the Civil Service Commission website. Click this http://webapp.csc.gov.ph/CSE_Online/ and you will be redirected to the Online CS Examination Result Generation System. 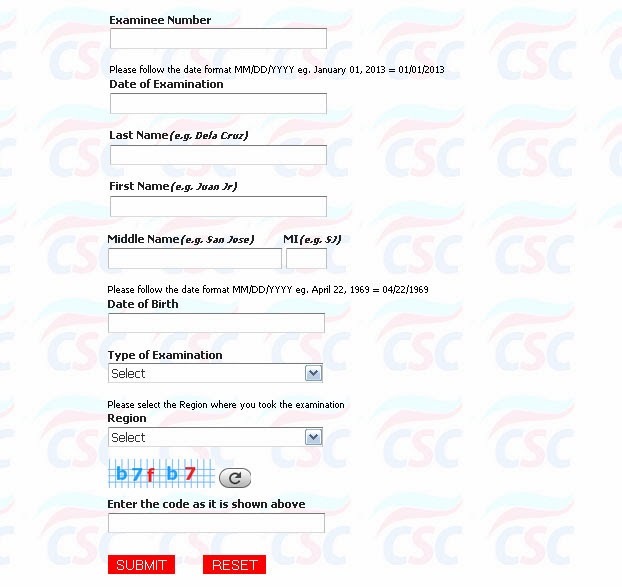 You will see two options.The CSC - Computerized Examination (COMEX) and CSE - Paper and Pencil Test (PPT) Click the radio button according to the mode of examination that you took. After that, click the Next button. After clicking the button, you need to fill up the form. It is very important that you kept or memorized your examination number. Fill up the fields correctly. Lastly, click the submit button, and you will see the result. Why Should You Take the Civil Service Exam?